Despite being a Saturday (and a holiday), we spent the first day of this month extending help to our municipality’s activity for All Saint’s Day dubbed as “Gabay Sementeryo 2014.” We were tasked to act as part of the medical team and we spent few hours of the said day in our designated area of assignment. We assisted the midwives during the scheduled EPI vaccination and educated the parents about the vaccines their child is about to receive. We also instructed them when to come back so their child won’t miss any dose. During the second week of the month, we were invited by the PNP to take part in their Fire and Earthquake Drill for Elementary Students in one of the public schools in our municipality. They asked us to give a short lecture and demonstration about Standard First Aid and we happily obliged. On November 19, our RHU in coordination with Marie Stopes, conducted free Pap smear and Ligation services. We assisted in the said activities by monitoring the patients before and after the procedure. We also helped in dispensing medicines to these patients. The following week, there was a report that a certain barangay had consecutive cases of Dengue already. We did Case Investigation right away and reported them to concerned offices. The rest of the days were mostly spent in gathering, consolidating and validating reports we need for our upcoming Program Implementation Review. Learning is a continuous process. For the past 11 months, I can say that I continue to learn how to manage my time more effectively. This is especially evident whenever we have to rush certain reports whilst doing routine duties in the RHU and yet, we still manage to finish what needs to be done. I am generally hesitant speaking in front of a huge crowd but this month, I learned how to be more confident. 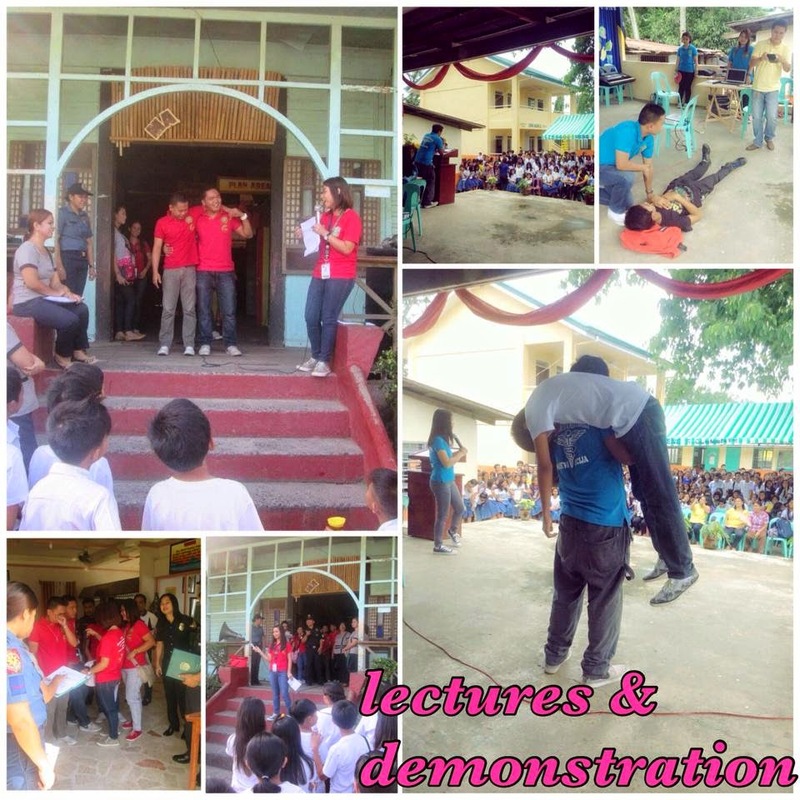 Despite the short notice, we were able to deliver our lecture to Elementary students well. Retrieval of data is quite hard in our RHU in the sense that they have no file copy of some information we need. Also, there is currently no Sanitary Inspector in our municipality. We had to get data for MDG 7 (ENVIRONMENTAL SUSTAINABILITY) from different offices. Some data for the said MDG cannot be retrieved at all. There is also insufficient supply of Pentavalent Vaccine this month. Some children weren’t able to receive the said vaccine during our routine EPI. Proper filing of reports should be observed at all times. If they had the means, data must be encoded for easier access. In addition, a Sanitary Inspector must be hired by the municipality. This is to ensure that MDG 7 is met and monitored accurately. Sufficient supply of vaccines should be distributed to RHUs in a timely manner. If not feasible, mothers should be educated and informed when to come back for vaccination.